I’ve been interviewing almost as long as I’ve been writing and I never started out to be a writer. I was a Voice Major, an actress/singer/dancer occasional choreographer and occasional writer but that writing was mostly script doctoring. And I did precious little of that. However, that career became the basis of a new career. How I got here is another story for another time. I began writing interviews for various magazines, mainly celebrity profiles, long before I began writing about dogs and cats. Because of my background, talking to actors came easily. It also gave me a clear insight into my interview subjects. Been there, done that, just not at that particular level. More than one actor blurted out, “You don’t ask the same questions everyone else asks!” I finally asked what they had been asking. My curiosity was definitely piqued. “What’s your favorite color?” seemed to be an evergreen. How utterly boring. One thing I recommend for anyone who is doing an interview is to do your homework. You’ll probably receive (and you should) a bio from their publicist. Even people in other fields have publicists. If they don’t then do as much background research as you can. It’s much easier today with the internet providing much more information than pre-internet days. Ask questions that interest you. If they interest you, chances are good that they will interest your readers. If you’re doing the interview in person, you may want to set the scene. You can certainly add some color to the interview by, for example, adding that the person shrugged, or rolled her eyes, etc. Be an active listener. Don’t just think about your next question. Really listen to the response to the question you just asked. It may lead naturally to another question and the interview might go in a direction you never planned that might be even more interesting than your original idea. Think about the type of writer you want to be. Do you want to be positive or spread dirt? Seriously. There is ample opportunity for either, and the choice is yours. Here’s a real-life example. I was interviewing a television actor. This was not in person, but by telephone, which can happen as a result of logistics. His voice sounded a tiny bit slurred and then I heard the clinking of ice cubes in a glass. When he began running down his show and the network I saw a red flag. The guy was drunk. I could have used that in the article. And, as a result, he probably would have been fired. I didn’t want that on my conscience. Maybe he was having a bad day. Maybe he had a lousy day at work. Maybe he didn’t like the way his character was going at that point. Maybe he thought he didn’t have enough lines. Who knows? But his indiscretion that day could have led to a very different sort of article. I didn’t want him to lose his job because of me so I very deliberately chose to omit that from the article. I also gave his publicist a heads-up in case the next writer wasn’t inclined to be generous, or even thoughtful of anything but splashy headlines that might have made his career at the actor’s expense. The publicist was grateful and always gave me his best clients. I wasn’t looking to build my career on someone else’s bad day. There were other incidents. A couple of people were downright nasty. I didn’t run them down in print but I didn’t interview them a second time. It doesn’t matter if you’re interviewing actors, doctors, or family members for a memoir, because the basics are the same. Often there are some wonderful surprises. I’ve always thought of interviewing as fun and educational. I enjoy serving as a bridge between the interview subject and the reader. And I’ve nearly always learned something new and interesting. Darlene Arden is an award-winning writer and author. Arden, a Certified Animal Behavior Consultant, lectures widely on wellness for pets including, behavior, training, and nutrition She is also an experienced television producer/host, and a lively guest expert on various radio and television programs and a popular and much acclaimed speaker. A founding member of The International Association of Animal Behavior Consultants, a founding member and former director of the Cat Writers’ Association, former member and director of Dog Writers Association of America, a member of the World Dog Press Association as well as Boston Authors, she is one of the few layperson members of The American Association of Human-Animal Bond Veterinarians and a member of Boston Authors, among her numerous awards are the CWA Muse Medallion, and the Massachusetts Society for the Prevention of Cruelty to Animals/American Humane Education Society’s Media Award for veterinary writing and animal welfare. In her “spare time,” Arden is a volunteer Cat Behavior Consultant for Pets for Life, NY. You can visit Darlene Arden’s website at www.darlenearden.com, or find her on Twitter or Facebook. Thanks for this insightful article. With the dearth of tabloid type journalism, it's refreshing to be reminded integrity does exist. I interview authors and like to go off script following my intuition. The clues are often not in what they say but how they say it: the tone, energy or hesitation speaks volumes. Fame or any media attention is fleeting. On the celebrity wheel of life, we may meet the same people on their way or on their way down. treating everyone with kindness and respectful goes a long way. Thank you, Sheila and Darlene for an interesting article. I do, however, have a question for you, if that is ok? Do any interviewees ever insist on a rehearsal or, an agreed list of questions, which totally avoid personal taboo subjects? Just curious, as some interviews seem to go like clockwork. Darlene has already answered, but I will as well....I never allow interviewees to review my stories/articles, other than technical material. These days I'm more often on the other end of the interview, and I never expect to see it before it comes out. That said, although I have never given anyone a set of taboo subjects, I have on occasion declined to answer a question that I found either too personal or otherwise not something I wanted to explore at that time. I hope that's useful. I'm glad you asked. On rare occasion I've had someone tell me that a personal topic was off-limits. I was fine with respecting that. There were plenty of other things to talk about. Some people want to review the article before it goes to print. My answer is a polite no, unless it's technical veterinary medical information and then that's all I want them to comment on, none of the rest of the piece. I'm a stickler for accuracy. Well done! Thank you, Darlene; thank you, Sheila! One question for y'all: do you tape-record your interviews? There seems, these days, to be some degree of "He said, she said" conflict when controversial points are raised with people who are interviewed. I will add that these days I MUCH prefer to interview and be interviewed by e-mail (assuming that the interview is for print - obviously radio/TV is something else!). E-mail allows time for the interviewee to consider the answers and to edit them for clarity. I'll just add that I find this can be a double-edged sword. I'm careful not to ask too many questions via e-mail. I've been interviewed via e-mail and found that I've virtually written the person's article. I like the accuracy of the quotes via e-mail but I don't like to do someone else's job for them and I don't want anyone else doing mine. I also find that very busy people do not have the time or inclination to answer many questions via e-mail. I've heard the comments and took those as a heads-up. Which just goes to show that everyone's different :-) As a "very busy person," when I'm the interviewee, I actually like being able to respond when and where I please, in spurts, in my jammies, if necessary. As interviewer, I don't see written responses as doing my work - I still write the bulk of the content, but have accurate quotations at my fingertips. If the other party can't or prefers not to work by email, of course we don't. As a writing teacher/workshop facilitator, one point I hope everyone walks out with is that we all work differently! >^..^< Great food for thought, Darlene! I find this absolutely fascinating. I think it's important to respect the interviewee's wishes. We do work differently and I try to adjust to the person. One point I should have made is that e-mail is particularly useful when interviewing someone in another country. Not only can phone rates be prohibitive but often the time change makes it particularly difficult. Thank you! I have always recorded my interviews, usually taking some notes at the same time, for exactly that reason. It also allows me to quote accurately, which is very important to em. Thank you for this interview, and I am glad I now know about this blog. 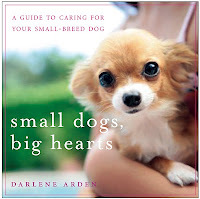 I have enjoyed reading about Darlene Arden, because I have known about her love and gift for writing about cats and dogs, but I've learned here that her writing goes far beyond. How nice to know that integrity still exists in an age of tabloid journalism. Thank you both- and thank you for sharing your insights into writing! Thank you for commenting - I hope you'll sign up to follow my blog and try a few more posts. Thank you for a wonderful compliment. Sadly, many people today have never heard the expression "journalistic integrity." It's a sad commentary on our times. Thank you Darlene and Sheila for the lively exchange and helpful tips. 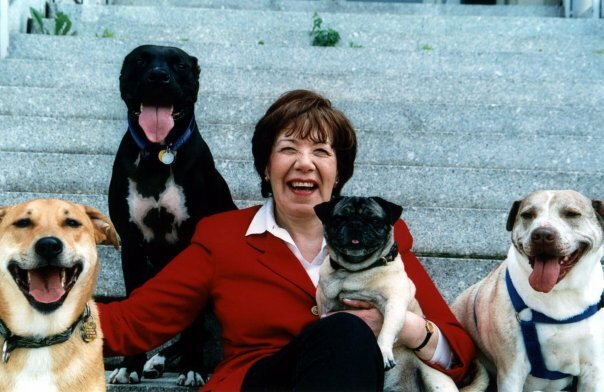 Special thanks to Darlene for her many years of dedication to animal welfare. Thank you for coming, Rosie!